You cannot possibly complete any woodwork if you do not have pieces of lumber to start with. Just like how sewers need fabric to sew and how painters need paint to create a masterpiece, woodworkers also need pieces of lumber to make a woodwork piece. 2 What are the types of lumber? Photo Source: http://www.popularwoodworking.com/projects/aw-extra-62614-flattening-wide-boardsLumber is made from wood usually used for construction, building, paper, and much more. It also refers to the piece of wood cut from its roots and processed into boards or logs. In some cases, it is also known as timber. What are the types of lumber? There basically two common types of lumber that people often used. These are the rough lumber and the surfaced lumber. The rough lumber which is cut from the mill is the one often preferred by many. You must be wondering why this is so. Why do most people like lumber more than the surface one? Firstly, it is because rough lumber is much cheaper as compared to the other one. For people who do not have much, this type of lumber is their best option. Secondly, rough lumber actually allows the woodwork to do everything. 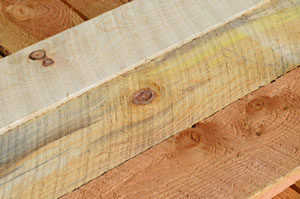 Rough lumber is usually around 3 mm to 6 mm. Surfaced lumber, on the other hand, maybe the least favorite, but just as good if not more. First and foremost, you have to cut the lumber. You need to slice them carefully and appropriately. Look for cracks, usually called checks, which are sometimes difficult to see. If these checks are not eliminated properly, these could lead to the lumber being split. Sometimes if the cracks are too deep, you end up cutting most of the lumber. However, to have good quality pieces of lumber for your woodwork, it is necessary to clear them from all cracks. Bend the end cut side and check for cracks. Also, check if it breaks when you bend it; if it does, you need to cut more pieces. Continue to do this until you can no longer see any crack. After eliminating all the cracks from the lumber, you can now cut it into various sizes depending on how much you need for your woodwork. Flattening the face of the board is an important skill in woodworking that you must master. Since wood is not flat naturally, you may need the help of the jointer. Run the board’s face onto the jointer until the unnecessary bumps are cleared. However, it is advisable not to use a planner when you flatten the wood since you are doing it for the first face. A planner is best used when one side of the lumber is already flattened. This is because a planner only copies what is on the other side. If the board is flattened appropriately on the other side, then it will also be the same on both sides. After you have flattened one side of the lumber, use the planner for the other side. This will make your work easier and accurate. 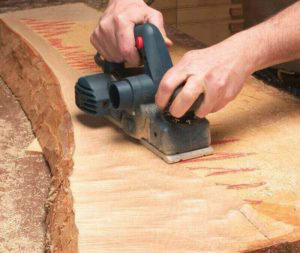 Using a planer, you can guarantee that both sides are the same. Be careful not to overdo it, though. You should allow about 1 mm extra thickness, just in case you need to remove some marks using the hand plane, sandpaper, or scraper. This way, you can still get the desired thickness that you want to achieve. The face of the board is not the only part that needs flattening. You have to flatten the edges too. Choose the best edge of the board, and run it across the jointer. As the standard protocol, you need to pass it many times across the jointer before you start flattening it. Set the fence at 90 degrees perpendicular to the outfeed of the V of the jointer. Put a V mark on the jointed edge. This will be considered as your marker to know at a first glance where the edge and the reference face are. Cut the board using the table saw with the guide of the reference edge you have marked earlier. Make sure it is against the fence when you run it through the table saw. You can also leave an extra inch for the smoothening and joint later. After you flattened and sawed the edges of the board, you now have to use the jointer to remove machine marks. You can do it by simply running the sawed edge on the jointer to eliminate the sawed marks. With board’s best end, take a minimal amount from the edge. Use the 90 degrees on the miter saw or table saw to cut the edge’s end. Using the table saw or miter saw, measure first and then cut the board to its final length. Just like before, leave a little bit of extra inch for the removal of the flaws and for smoothening after. Avoid using green wood. Greenwood indicates that it has not been dried properly and still got some moist content. Most content can cause your machinery and other equipment rust so easily. Greenwood is also unpredictable as long as warping is concerned. Be vigilant on the grain pattern of the wood. Some wood has outstanding grain patterns that you can use to highlight in your woodwork. You can see these patterns, so it is easier for you to identify them once you started working. Stock some extra pieces of lumber. You do not know much repairs and do-overs you have to perform later. Most woodworkers buy an extra 20% additional lumber just in case. Avoid using the boards immediately. Allow them to acclimate in your shop for a couple of weeks before using them. The temperature in your shop may be different from where the lumber was taken. The air’s humidity and temperature can affect the boards’ quality and may cause changes in the boards’ appearance. Allow the board to adjust to the moisture equilibrium of the shop. The warping and movement of the board usually occur in two weeks.